Nudge critiques: Is nudging behavior unethical, infantilizing, coercive, or counter-productive? Do people really not know what’s good for them? Do we expect too much of nudges? Consider a proposal to increase organ donations in the United States by making it a “mandated choice”—everybody applying for a driver’s license or vehicle registration has to either opt in or opt out. This sounds reasonable, but it overlooks negative perceptions many Americans have of the Department of Motor Vehicles, which may exert a profound influence on decision-making. 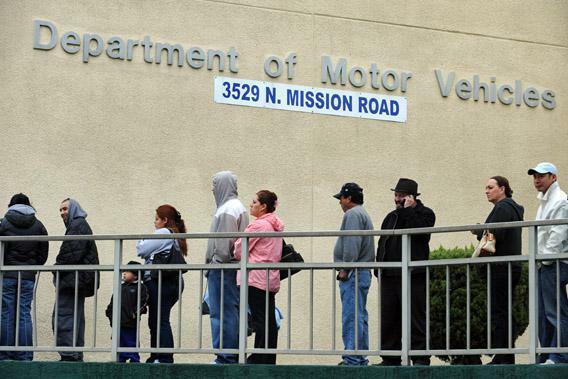 After waiting in line for hours, fuming over DMV inefficiencies, you may be less inclined toward altruism. Another worry is that we may expect too much of nudges. While they can change behavior to a limited extent, it is doubtful that they can be used to solve complex policy challenges such as climate change. Politicians need to recognize this lest they fall into one of the traps flagged by Adam Burgess, a risk researcher at the University of Kent in Canterbury, U.K. He points out that embracing the nudge philosophy risks over-simplifying, misconstruing structural problems as individual lifestyle choices, diverting resources to the wrong programs, or failing to enact new legislation (European Journal of Risk Regulation, Issue 1/2012, Page 3). There are ethical concerns too. Philosopher Luc Bovens at the London School of Economics contends that nudging can be infantilizing, because of the implicit assumption that people don’t know what’s good for them. This brings us to perhaps the biggest concern of all: Nudges can be coercive. Although advocates contend that nudges should in principle be transparent, there is clearly scope for manipulation, especially when it comes to the nudges that work best when we’re unaware of their influence. Recent research, however, suggests these concerns may be overblown. Pelle Hansen of Roskilde University in Denmark found that most nudges are not manipulative, and fewer problematic cases exist than has been claimed (European Journal of Risk Regulation, Issue 1/2013, Page 3).